How To Have A Tattoo Totally Pain Free . (does Cost ) But Does Work !!! This can be bought from many internet websites cheapest I'd say would be boots .com or co.uk in uk it's cheapest or you may find it easyer to go in store some areas have restrictions on this , and may need to get it prescribed tell them your having bloods done and are scared , can also be bought over the counter I'm many pharmacies as long as they stock it but can easyly be ordered in within a few days most standard tattoos would only need one tube ... Anything like half a sleeve would maybe need one and a half to two .. So definitely worth it ! This is quite a common thing but some people don't know .. 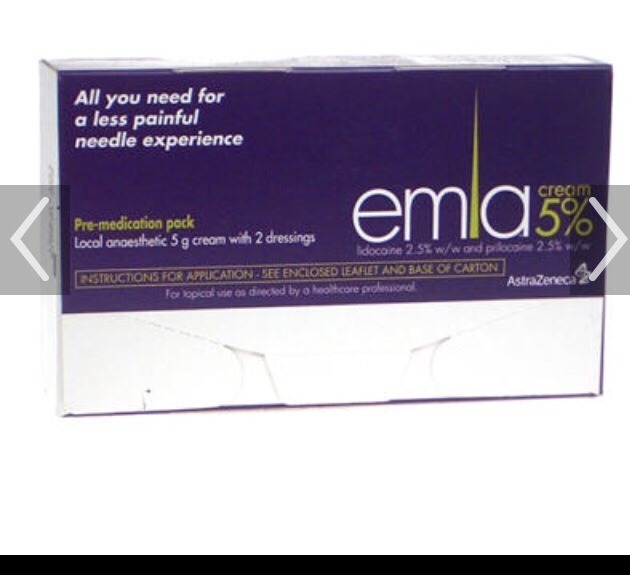 The famous EMLA cream in uk can be bought for no more than £3.50 it's amazing put it on area of planned Tatoo about an hour before you go, the area where covered with the cream wrap cling film around it or if a small Tatoo cut a square of cling film and use medical tape to seal all four edges (money saving option ) but still works,you can not feel a thing ... I can assure you ! so all these Tatoo phobic people who are scared get emla cream and you will not feel a thing I have done this myself so I can recommend and assure it works ..